The New Alpha has been purposefully put together to create the ultimate rig in both form and function. We’ve worked hard exclusively with Corsair so you’ll get all this without breaking the bank. Deck out your dream rig with the brilliant Corsair ARGB memory and the one and only LL120s ARGB fans. Save more when you purchase 4 fans! Choose at least 16GB RAM and get a $40 discount using coupon code ‘DDR40’! Pick the GTX 1660 Ti and get a free Logitech G102 Gaming Mouse. For a limited time, we’re using the MSI GeForce GTX 1660 Ti Ventus XS 6G OC, grab it while stocks last! Learn more about these promotions ending 30 Apr 2019 here. 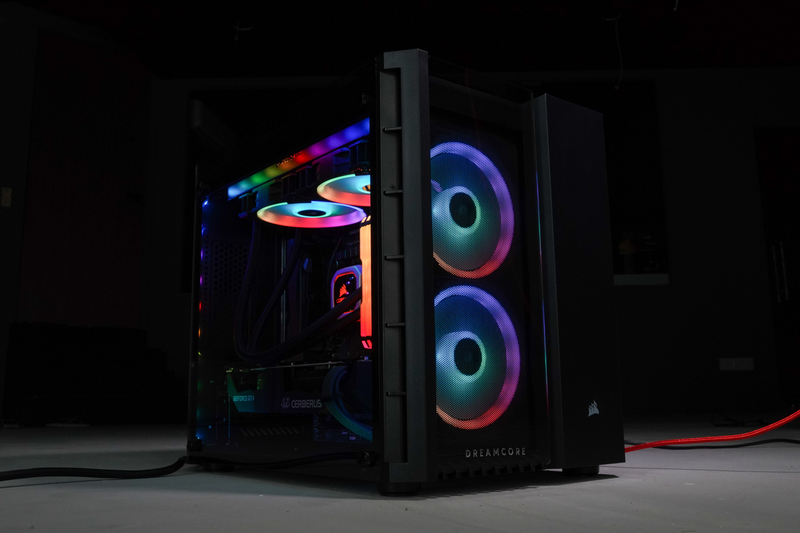 We're launching the new Alpha in conjunction with Corsair, ultimately bringing you the best quality chassis at a now affordable price through us. We highly recommend the Corsair 280X! Pro tip: Primary SSDs are by default M.2 variants. Remember - M.2 doesn't mean faster! Corsair ARGB Fans are the best fans to deck out your PC with, period. With our collaboration with Corsair, we are now able to make them available to you at extremely low prices - do take advantage of them! Pro Tip: FPS gamers tend to prize the high refresh rate 144Hz monitors, whilst creatives prize the colour rendition of IPS panels.